Home > crochet > The Lydia Blanket – she’s finished! I’m delighted to inform you that I have achieved my own personal crochet milestone today! I have finished my Lydia blanket – a beautiful pattern from Dedri over at Look at What I Made – and in doing so, I’ve completed my first ever crochet blanket which is made of motifs. I fell in love with this blanket when I opened the yarn pack – the colours look so perfect together. I love the pinks together with the freshness of the green and blue – such a lovely colour combo! Are you ready? Here she is! Look how pretty! I’m so proud of her! 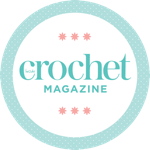 I love the Lydia blanket – it’s truly a sight to behold, and the scrummy Scheepjes cotton 8 is a great, breathable yarn – it has a satisfying weight to it, but it still feels airy. As per usual with Dedri’s patterns, this was easy to follow and super imaginative. I wouldn’t have expected any less from the designer of Sophie’s Universe! In all her pink glory – isn’t she beautiful? I did have to go slightly off-piste when it came to the border after having misplaced my final ball of light pink yarn (I bet it shows up as soon as I post this!). I replaced the scallops row with the green of the leaves, which I’m just about happy with. I do think this would’ve been better with the pink, but I will happily let my roses sit amongst a bed of leaves. You can see the extra green in the border here – I’m still pleased with it. It took me slightly out of my comfort zone working with a fine yarn and a 3.25 crochet hook for this blanket, but I must say, I love the way it’s turned out. She might have to live on my armchair? Working a blanket made of square motifs has been a revelation for me – I’ve loved the portability of it. My love of commuter crochet is well documented, and this was the perfect project to accompany me on my commute. As you can see, I worked out a pretty good system to crochet on the move! I worked in batches of 6 squares at a time, which meant I never got bored of my production line but still made tangible progress – there are 48 squares in the blanket, and they are arranged in rows of 6, so each batch got me another row. I loved having a production line on the train – I tend to carry a big handbag, so I could have my yarn and scissors lined up next to my squares on top of my zipped up bag. The fact that all of the squares are the same colours was great too – it was novel to not have to make any colour decisions and just focus on my stitches and a podcast or two. I’m so happy to have overcome this crochet fear of mine, and to have such a beautiful blanket to show for it. I only have one problem now – it’s a baby sized blanket and I want to keep it anyway, despite having no babies! Any excuses to keep hold of this gorgeousness are welcome – help me come up with some! Excuse my poorly painted bench! The blue matches nicely though! You can buy the yarn pack for the Lydia blanket over at Wool Warehouse. I’m so excited to see your blanket finished. It looks great with the extra green and your photos are so pretty. Thank you so much for making and sharing your Lydia. I think you are totally entitled to keep your blanket. Great work. So pretty! Perfect for a girls room. Visiting from The Really Crafty Party. I do like the look of cotton but I don’t like using it, it makes my fingers sore. It’s beautiful, and I love the colors! Pinned to The Really Crafty Link Party Pinterest board. Thank you for sharing! Hi, just a quick note to let you know that I’ve featured this post on The Really Crafty Link Party Features. Come and grab an “I was featured” button and browse around for the other features here: http://keepingitrreal.blogspot.com.es/2016/05/the-really-crafty-link-party-18-features.html. Congratulations!